While weddings are about joining a couple as one, they are also about joining two families together. Harlee and Ryan had an elegant ceremony at the Hotel Monaco and celebrated with family and friends at their reception at the Cescaphe Ballroom. At the hotel, the couple exchanged vows in one of the Hotel Monaco’s beautiful ballrooms. With the elegant chandeliers and architecture, it is a wonderful place for a wedding. After filming the wedding, our crew at Allure Films captured speeches from the bride’s father and brother during the reception. Her brother knew Ryan was right for Harlee when Ryan became her number one protector over him. Though it was a hard role to pass on, her brother knew Ryan was the right one for it. During Harlee’s father’s speech, he toasted to the foundations of marriage: family, friends, fortune, and fertility. Not only were the two families combined that day, but they wanted to grow as well. We are always grateful to work a wedding with our partners. Our partners at Baida Photography helped photograph the happy couple’s big day. EBE’s Dreamtime also entertained the crowd and had the newly joined families dancing through the night. We were all grateful to help the newlyweds celebrate their special day. Mazel tov Harlee and Ryan! We wish you endless memories together. 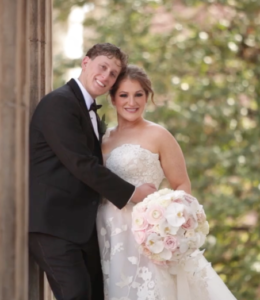 Join the Allure Films team for a glimpse into Dana & David’s Philadelphia wedding. 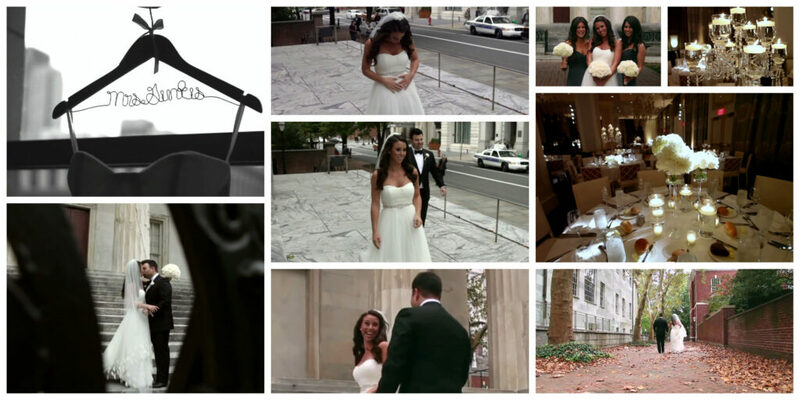 From the first reveal to dad’s unexpected surprise, this day was full of love and excitement. Hotel Monaco was as beautiful as could be, and it was the perfect place for Dana and David’s wedding celebration. Our good friend Sarah Morrison of All About Events did an amazing job coordinating all of the special details. Our favorite part of the evening was when Dana’s dad got up to sing a clever song with Dreamtime Music. The evening was full of moments to be remembered, and we are so glad Dana and David included us in their big day. Congratulations newlyweds, and best of luck for a happy and healthy future!